These books totally make my Summer. Actually, that’s not true, since it’s not summer for me. But it apparently makes me feel like it’s summer. 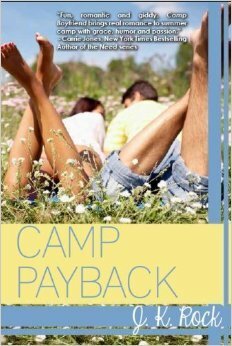 Past Me who finished Camp Boyfriend probably would scoff at Present Me if I was to tell her that I would enjoy Camp Payback more. But whether she believes it or not, I defintiely enjoyed Camp Payback more. Why, you ask? Because with Alex as a main character came her amazing story. I have always had this strange addiction to reading about reality TV shows and famous people. It’s quite strange really, since I’m not really into that stuff in real life, but I am totally addicted to book versions. The story definitely didn’t let me down. In fact I love how much it was incorporated into the story, pretty much the perfect amount. But it isn’t all about Alex’s story. We have to talk about her as well. I actually liked her better than Lauren of Camp Boyfriend, which really surprised me because I wasn’t Alex’s number 1# fan in the first book. I probably am now though. She had this great, fun personality that really made the book. Of course we can’t talk about Alex without talking about Javier. Come to think of it, I will not be talking about Javier because I don’t know if I’d ever stop. I’m actually a little concerned about how much I remember about these characters. It sounds like a good thing but this is totally out of character for me. I have this tendency to forget everything between books. I adore the little “Voted most likely to…” sections at the begginnings of these books. They make me laugh. My favourite character of all time in this series has got to be Emily. Her happiness is catching, even through electronic pages. She’s just really quirky and fun. My only issue was that I thought it was a little predictable. Sure, I didn’t predict a certain incident to do with Vijay towards the end but I pretty much predicted everything else. It’s not a major criticsm, however. If you’re looking for a really fun, cute, Summer read, then look no further. 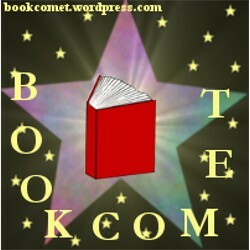 Even though you don’t have to read these books in order, I probably would recommend it. I can definitely see this being a good book to take on your own Summer camp. I can’t wait for the third book!